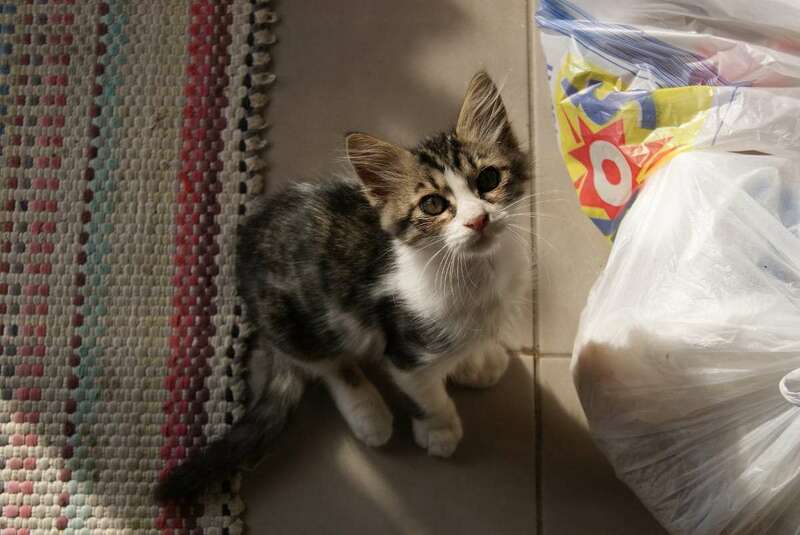 Jo Magpie extols a day in the life, from Istanbul. Istanbul is not just a city, it’s a multiverse. Each time I come, I glimpse another of her seemingly infinite worlds. This time it’s the backstreets of Beyoğlu (pronounced “Bey-ohh-loo”), where Hrach and I are staying with our friend Ross and his hyperactive kitten in their 5th floor apartment. This may look cute, but it’s pure evil. Beyoğlu, and especially its Cihangir neighbourhood, is where the hippest parts of Istanbul can be found. Its streets creep out from Taksim Square and the pedestrianised shopping area of Istiklal Caddesi and wind down steep hills to the place where the Golden Horn breaks away from the Bosphorous: an intertwining twist of antique shops, cafes and higgledy piggledy old houses, their balconies colliding together. We’re staying in Tophane, the part of Beyoğlu that tumbles down a steep hill to the edge of the European continent. Each day I take a different route up to the main shopping street, and usually spend a lot longer than intended finding my way back out of the maze. One evening, Hrach and I take an unknown shortcut and are lost for hours among the cats and the stars. We drink a beer under the full moon outside an antique shop, on a step next to two growling white marble lions and an overhanging willow. Perhaps because it’s trendy, I had largely ignored many of the hidden parts of Beyoğlu before. 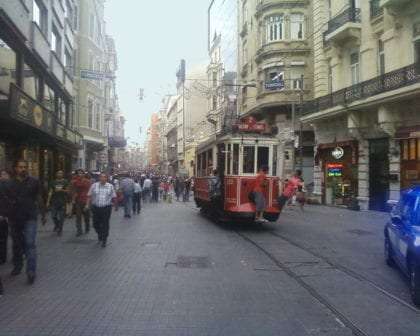 I knew Istiklal Avenue with it’s sea of people, high street shops and street musicians. I knew Galip Dede Caddesi, the narrow street lined with music shops and hippy-chic boutiques, that dips down to Galata Tower and on to the bridge over the Horn. The rest of the area lay largely uncovered. When I first came three years ago, a hundred people would gather each night at the base of Galata Tower to drink, strum guitars, or batter a djembe with strangers. Now the police, bored with periodically cleaning the area, have neatly erected cafe tables and chairs around the base of the tower. 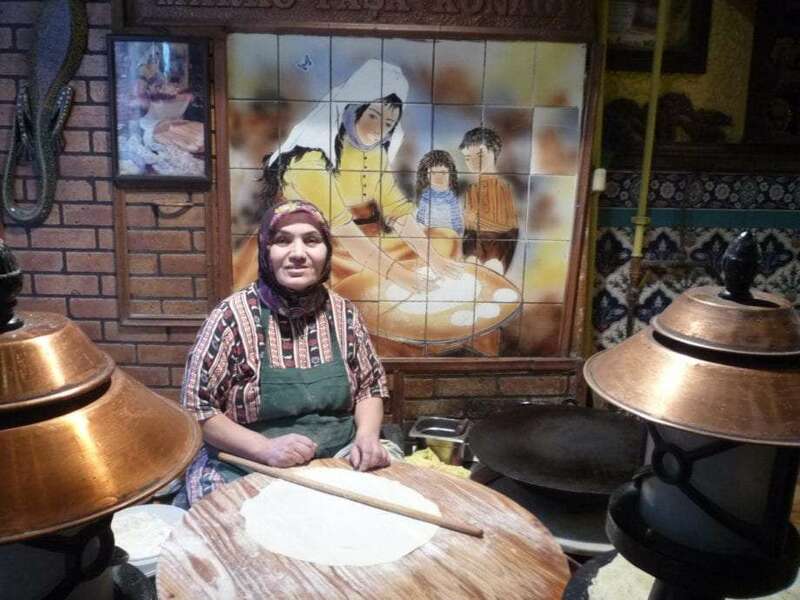 I stare at the artfully arranged tables and their utter lack of customers, feeling that one of the brightest parts of Istanbul has been snuffed into history. It’s always an interesting experience to return to somewhere I’ve spent a lot of time. I’m oddly surprised to find that it has changed. But a lot has changed, and not only out in the streets. I furrow under the bed in Ross’ flatmate’s room, shovelling under his soon to be ex-wife’s possessions for the few things I stashed there myself before saying goodbye the last time. “See you in a couple of months,” I had told the then recently married couple, not realising it would be almost a year and a half before I would return, now recently married myself. I dig out my things one at a time: A map of Armenia. A map of Georgia. A small Georgian phrasebook. My Turkish grammar book. Two large English teaching books. A map of Iran and a small Farsi dictionary. My Islamic coat and headscarf are irretrievable, buried somewhere under the chaos. Who knows, maybe next time I come by, I’ll be heading that way again. I stack my newly recovered belongings on the table in front of me and stare at them. I remember all of the many miles spent clutching these various maps in the backs of cars, in trucks, by roadsides. I remember my previous travel companions, from the time before I met Hrach. Who would have thought that a trip to a bar in Yerevan would alter the course of my life so completely. A week whizzes by. I revisit my favourite parts of the city, the ones that have not yet disappeared. I show Hrach the place where the woman in the window with the rolling pin makes the very best gözleme (savoury pancakes filled with cheese, meat, potato or spinach), the place where I like to buy my börek (like a cheese pasty, but better), and the place with the cheapest çiğ köfte (the most amazing substance on earth). One day we’re walking up the steep hill to the high street and almost collide with a man coming out of a juice bar. He’s speaking on the phone and hadn’t noticed us coming, but now he and Hrach both gape at one another and begin chattering away in Arabic. They know each other from Aleppo and are old friends. This is the guy’s juice bar, and weirder still, he’s living almost exactly opposite us. Later the same day, Hrach has taken his guitar to busk outside one of the closed shops on Istiklal Caddesi. He’s barely played two cords when another couple of old friends from Aleppo saunter past. This is the biggest change in Istanbul, the very tangible affect of the ongoing crisis in Syria. These old friends are doing comparatively well, compared with the growing number of homeless women and young children we are seeing every day. Before long, we’re prying the kitten’s claws out of our backpack straps as we stuff them with clothes and books. We hobble out of the building fully laden as light cracks over the horizon, and catch an early morning tram to where a bus is filling with Armenian traders on their way back to Yerevan. It’s going to be a day and a half long bus ride, across the whole of Anatolia, and we’re going to get to know some of these faces pretty well. 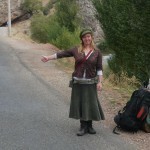 Jo Magpie is a writer and long-term adventurer, with an unstoppable lust for hitchhiking remote mountain roads. She has slept in most conceivable kinds of places, and a few inconceivable ones. Even after hitchhiking more than thirty countries over the past ten years, deserts, 40 ton trucks and mountain passes still make her pulse quicken. Jo is currently working on her first book, The Female Hitchhiker's Handbook.